Draining the swamp! Jeff Flake announces he’s out of the Senate. 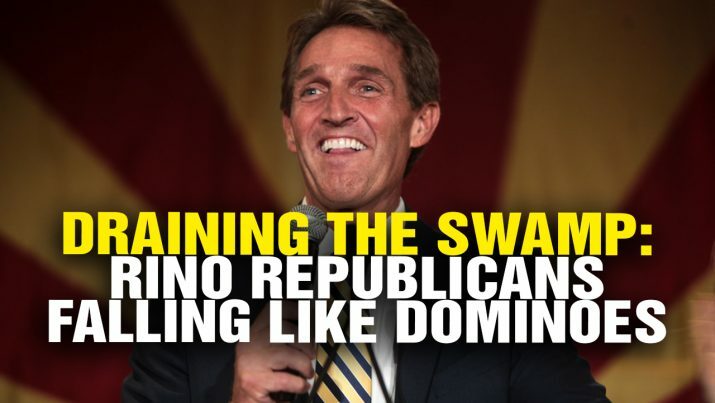 RINO Republicans are falling like dominoes as real America takes over. DRAINING the SWAMP: RINO Republicans falling like dominoes from NaturalNews on Vimeo.